Summer patio open for lunch and dinner service. Reservations not accepted for patio dining. For large party inquiries, please contact the restaurant directly. There is a private parking lot located between the restaurant building and Riverside Park that is free of charge to all Waterfront guests. There are also reserved spots on the first floor in the parking ramp located on the corner of Front Street and Jay Street that are free to restaurant guests. A baby grand piano hosts a selection of music, including jazz, blues and rock variations in the lounge. Local and regional musicians fill the tavern with classic and contemporary tunes. In the warm season, enjoy our casual entertainment on the patio! Four unique dining spaces plus outdoor patios offer an elegant backdrop for any event from a private business presentation over lunch, a bustling conference with 300 guests, a wedding, or a relaxing cocktail reception. Your guests will feel at ease with every need artfully met. The largest of our event spaces, The Cargill Room is a grand, light-filled ballroom with panoramic views of the river and park. The subtle elegance of the Cargill Room makes it a stunning venue for wedding receptions, conferences and banquets. Dedicated amenities include two private bars, coatrooms, powder rooms, Wi-Fi, customized lighting and projection systems. Designed as a stylish, comfortable venue for 24 to 100 guests, The Banquet Room showcases breathtaking views of the Mississippi River and Riverside Park. Amenities include a private bar, coatroom, powder rooms, private parking lot and complimentary presentation technology. A secluded dining or meeting space for a small group, The Private Dining Room looks out over a spectacular river scene. Adjacent to the restaurant and tavern, it seats up to 16 guests. 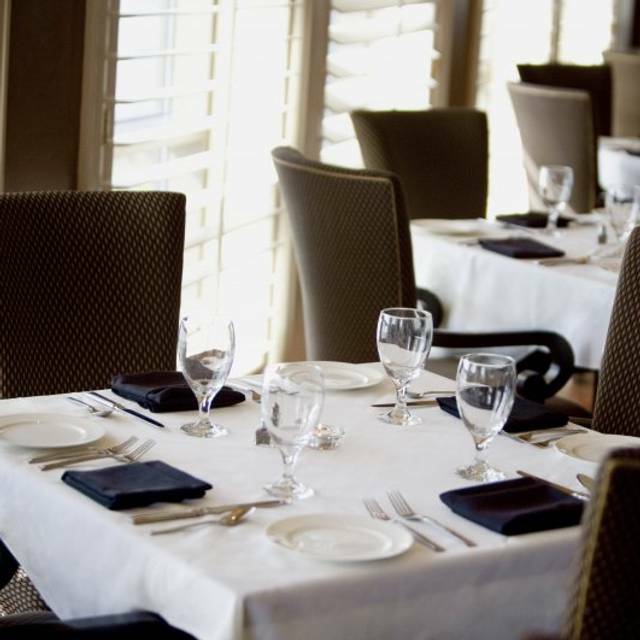 The Waterfront Restaurant and Tavern is a seasonal American restaurant with a commitment to serve the best quality product offered at the height of each season. Our seasonal seafood is noted as the market’s best – always fresh, line-caught and hand-selected. All our beef selections are USDA Prime – the highest level of grading based on the quality of marbling and aging, hand-selected and cut specifically for our guests. Local and organic foods are incorporated into all menus as best appropriate. Each menu is designed and created with our guests in mind. Enjoy the results of hard work and high standards. Please note, patio tables are first-come first-seated only. Thank you. As always the wait staff was friendly, knowledgeable and prompt. We had a reservation to sit in the restaurant but ended dining in the bar as they had live music. It was great! Everything was superb. Waiter was outstanding. Very knowledgeable and helpful. The Waterfront is the real deal. We have dined there many times and have never been disappointed. Great service great food. A view that cannot be duplicated. Our favorite place in La Crosse. A true gem. Awesome service. The waiter was knowledgeable and charming. We paid less then 100$ which is reasonable and the desert was Phenomenal!!! Great service. Fantastic good. Perfect ambience! Would love to return to enjoy patio dining in warm weather. I followed the instructions from the last review and asked the waiter for the vegetarian soup option. It was wonderful! I had the sweet potato++ and would immediately order it again! The food was below average. The ambiance was horrible. It’s called the waterfront but they close the outdated blinds at sunset because the sun is shining in the customers eyes. Such a disappointment. My husband and I were celebrating a special day and I had sent a sent in a special request for our dessert to be decorated. They went above and beyond to make our dinner absolutely amazing and they ended up making a custom mini cake just for our dessert. This night will definitely be a night for us to remember forever and we greatly appreciate all of the extra time and effort they put into our request. All of the staff were very warm and welcoming and several stopped over to personally congratulate us on our special night. This is exactly why I chose to dine at The Waterfront that night over any other restaurant in town. Beautiful ambiance gorgeous river views. Wait staff was pleasant and accommodating. We saw today’s special on Facebook and came in ! I love this restaurant in all ways! My only less than stellar reviews were the greens served with chicken were inedible—woody and tough—impossible to chew. We were also disappointed in lavash—didn’t seem as light and salt was not distributed evenly. Loved everything else, as usual. Overall very good. I brought my wife there for dinner the same night. I wasn't given a choice of how I wanted my salmon cooked. I didn't know there was an option until my wife ordered the same dish that evening and was asked how she would like it cooked. And when I say same dish I mean exactly the same dish but twice the price. I think I would've liked mine cooked like hers. Even though the tavern area was pretty empty at lunch time it took a little longer than I thought it should have for service. The staff were very friendly and helped me change my reservations for dinner that night. They even escorted me to the dining room to pick my table. I don't mean for my comments to be complaints, but rather constructive criticism. Please know that I will return in the future for a sunset dinner. Thanks. Ron. The last 3 times we've been there, the service was mediocre. At that type of establishment, with that type of price, the service should be exemplary, it was not. Thank you for taking the time to send us your thoughts. Here at the Waterfront we pride ourselves on having high standards for service, that is why it is so disappointing to hear that we have missed the mark not once, but several times. I would love to speak with you further about your experiences so we can adjust our training and continue to provide the exceptional service that the Waterfront is known for. Please contact me at your convenience (608)498-7585.
always gracious with excellent food. could there always be a non-red meat soup in the freezer for some of us? Thank you for taking the time to review your recent visit. We are pleased that you enjoyed your visit. 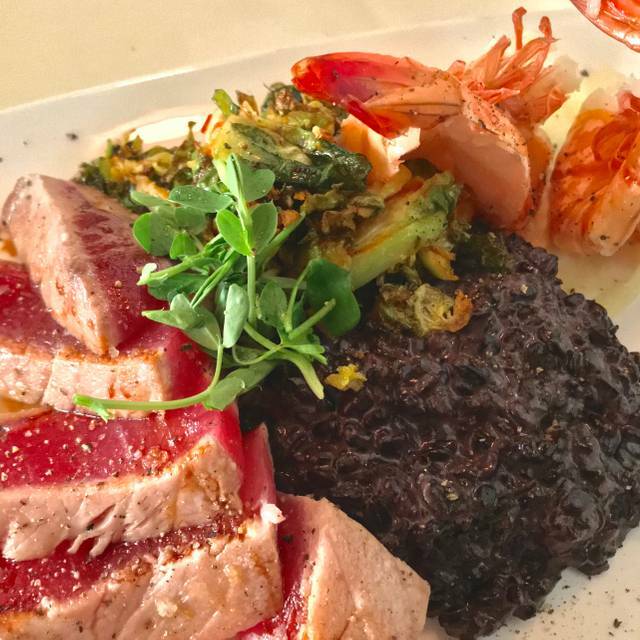 We pride ourselves in being able to cater to a variety of dietary restrictions. We do occasionally have an alternative soup option in the refrigerator, your server should be able to check on availability. If you know you will be coming a day or two in advance just let the host know about your request when you make the reservation and we will do our best to accommodate. See you soon! Wonderful dinner. Had the walleye special and it was superb. Wonderful restaurant, food was great, service was outstanding and ambiance was spectacular. A bit pricy for an everyday dinner however I worth it for a special occasion. Thank you for taking the time to review your visit. We are happy to hear that you had a wonderful experience. We do offer a lot of options beyond special occasions. Stop in for our wonderful Happy Hour Monday-Thursday featuring our amazing $5 burger and outstanding drink specials. 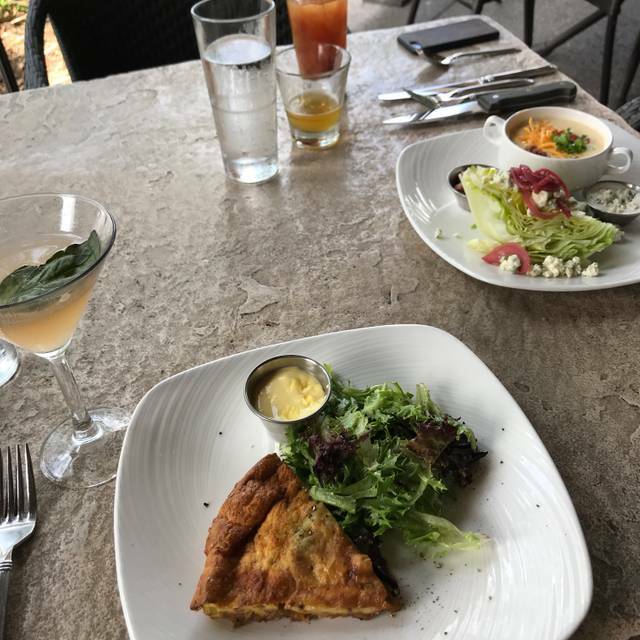 We also offer a plated brunch in the tavern and on our scenic patio Labor Day through Memorial Day. Check out our website, facebook, or instagram for even more events and features, we look forward to seeing you soon!! 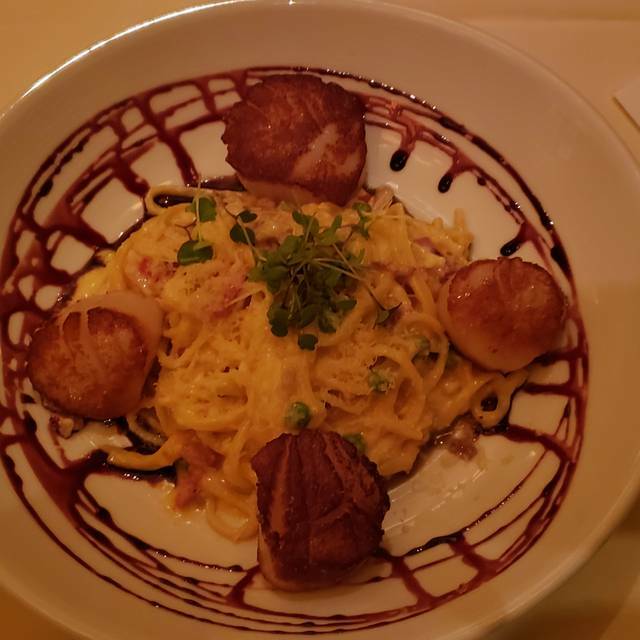 The best ribeye and scallops I have had, maybe ever. A exquisite surprise! 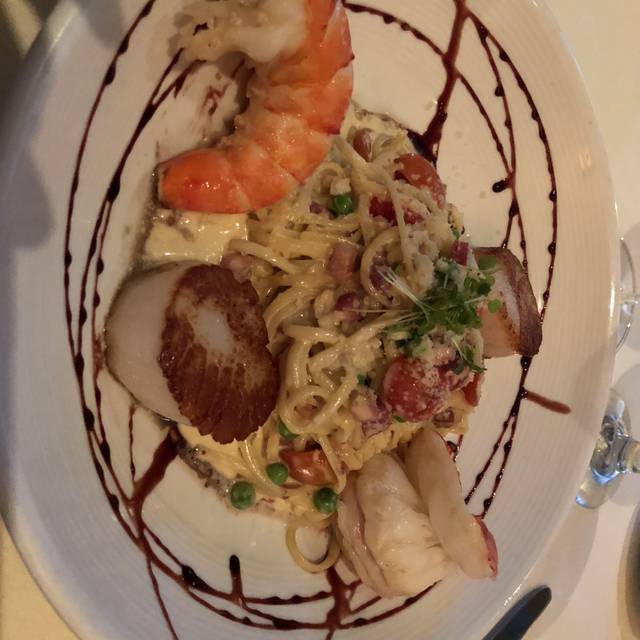 Food was delicious, service was especially great. Then we enjoyed the live music in the bar afterwards. Amazing food, knowledgeable wait staff and great music! I would like to eat my salad without having to use a knife. The Caesar was a disappointment. Otherwise my meal and the meals of the other four, was great. My wife and I enjoyed the dinner very much! Staff were all very kind. Will be going again! Excellent venue. Superior service by a very friendly and helpful staff. Always fresh delicious oysters. Experienced and friendly bartenders. Dirty Martinis to die for. We travel 50 miles to enjoy the Tavern and Restaurant occasionally and have done so over a few years. The experience is consistently superior. Kudos to the entire operation but especially the staff that always make it a wonderful dining experience. Awesome service they gave us the best table & the waitress did an outstanding job. The steak was amazing. Honestly couldn't ask for a better overall experience. My wife and I have been to the Waterfront before - and the overall experience has been nothing short of fantastic for the both of us. It's always a treat for the two of us to spend our evening dining at The Waterfront. 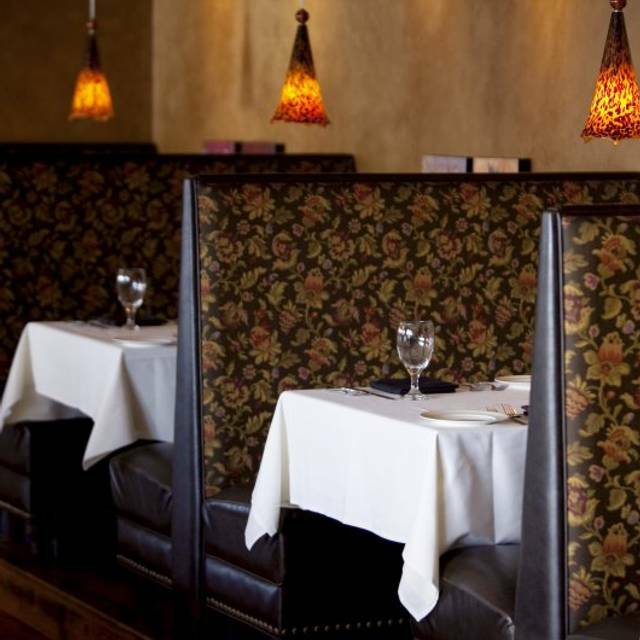 We appreciate the grade A food, service, cleanliness, and ambiance of your restaurant. Thank you again for making our Valentines Day dinner special. Excellent food, drinks and atmosphere. Had a wonderful time! From the hostess team to the bartenders to wait staff. Everyone was amazingly professional and attentive. Very much appreciate the owner's support of our military and veterans. The chef and kitchen team are key to how good this place is and how much it is appreciated. We went to Waterfront to celebrate my mom’s 89th birthday. The food was incredible. Our server was amazing....attentive, appropriately social and made sure our meal was paced so that we would make our show. He brought Mom a complimentary celebratory dessert complete with birthday candle. It was a wonderful evening. This review is for the Tavern there is also a restaurant side. Simply put one of the best burgers I have had!!! Drove from Milwaukee to meet a friend who drove from Minneapolis (an annual tradition to meet at Waterfront in LaCrosse). We have oysters every time and sadly, you were out. Not mad about it...just bummed. Thank you for taking the time to review your visit. We are proud to be an annual destination for you and your friend to meet!! We order our seafood a few times a week so we are able to offer the freshest seafood available. Occasionally, albeit rarely, we do sell out of an item. If you give us a call a couple days prior to your next visit, we will be sure to set some oysters aside for you. We don't want you to ever leave here bummed! We look forward to serving you again soon! 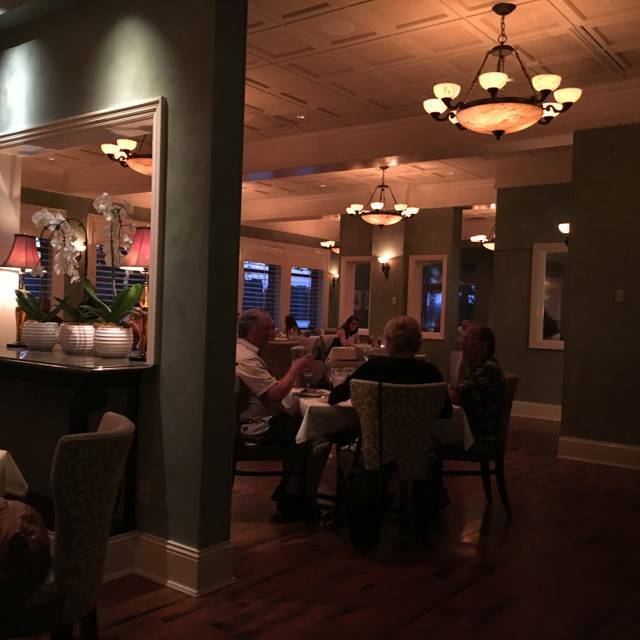 Great food, service & ambiance! The Waterfront is our favorite restaurant in La Crosse, WI. The food is always excellent, creative and well presented. The servers are friendly and very knowledgeable about the menu. We enjoy the atmosphere as it is quiet but not too quiet. The music is always in the background but never too loud. We feel the prices are reasonable for the quality of food and service. We will continue to return often. This restaurant was unbelievably fantastic. 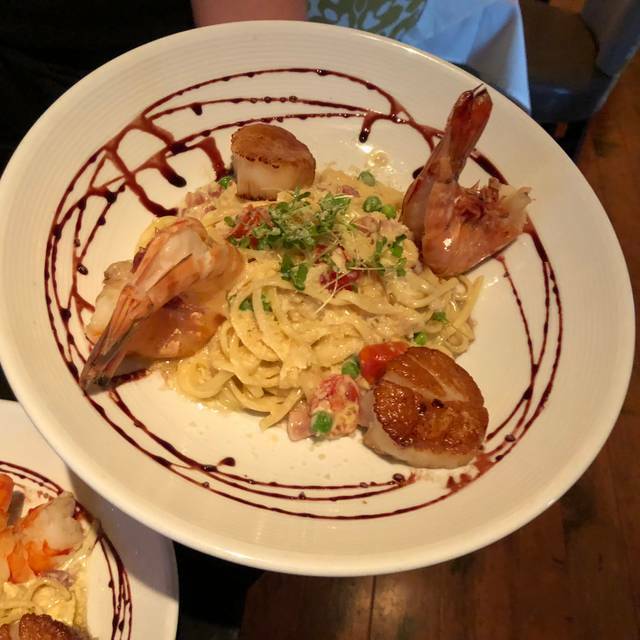 The service was kind and accommodating and the food was delicious and filling. 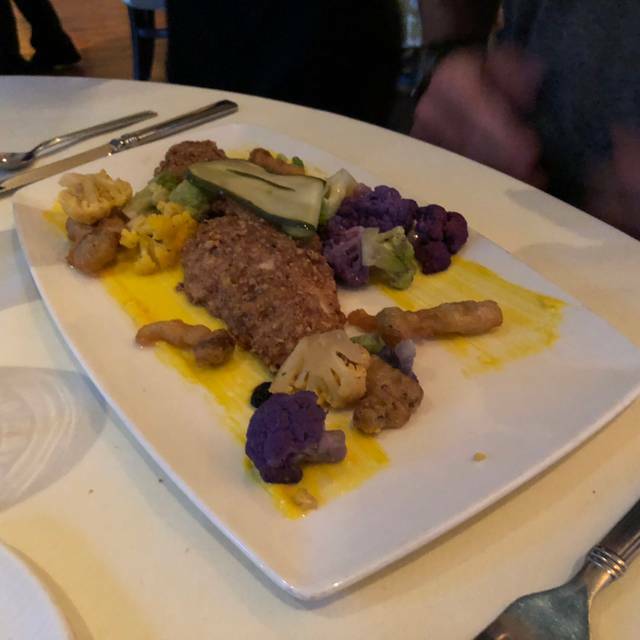 I am a vegetarian and it is hard to find fine dining places with decent options, but they were willing to come up with and make anything that would suit my tastes. It is a bit pricy, but worth it. I came for my winter formal dinner with a group of friends. I noticed a family with kids, a couple, someone with a birthday, and a group of older people all enjoying their meal. It is a great place for a large variety of people looking for a good night out. The ambience was classy and inviting. I would 100% go again, all of my friends loved it.